The Double Heart Infant Urn features a blue velvet interior to accommodate for the cremains of a beloved infant. 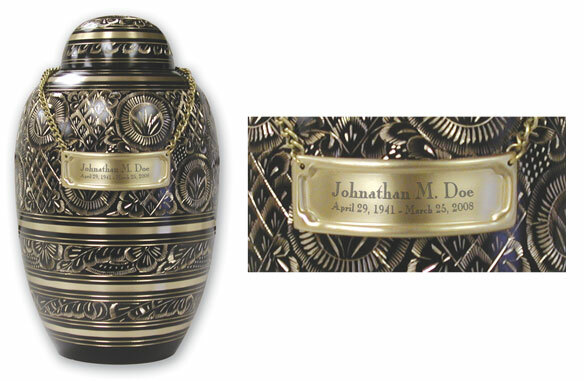 Each urn is plated with a nickle finish, providing them with a silvery gleam that will not tarnish. 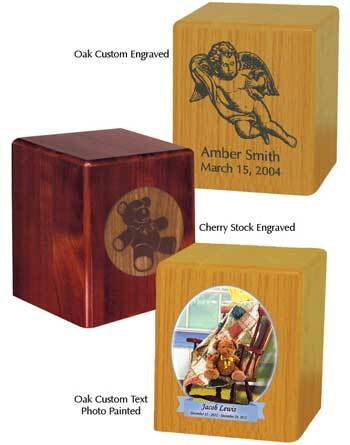 Measures 3 1/2" x 2" x 1 1/2"
Suitable for use as Portion, Infant or Pet Urn. Solid wood in an Oak or Cherry Finish. 6"h x 5.3"w x 4.3"d, 75 c.i. The Victorain Heart Infant Urn displays a unique finish that is non-tarnish antiqued nickel plate and the interior is fully lined in navy blue flocking. The intricate designs on the exterior of this urn features beads, scrolls and floral designs. Featuring an antique finished with a soft blue velvet interior, the Precious Infant Urn makes for a delicate memorial for your loved one. This small urn comes with a gorgeous design for its four raised feet. Up to three lines of engraving is available for the center of the heart top. Measures 4 1/2" x 5" x 2 1/4"
Crafted from a single block of stone. Available in White, Black, Boccateak or Stone.Use adhesive for permanent seal (not included). 10.1"x7.9" Dia.Available with name and date engraving. (Engraving not available on Boccateak) 2 line Engraving. Brass Infant/Portion Urn. Available in Blue or Pink. 3.5" W x 5.5" H, 35 c.i. The Sweet Baby Boy Heart Music Box Urn is a shimmering piece with a soft, heart shape and blue accents. Plays Amazing Grace. Both cards can be removed and replaced with a more personal epitaph or your loved one's picture. Measures 4" x 4"
Soft and huggable bear that has a zippered pouch for holding a keepsake. Includes your choice of Heart Keepsake. Classic Gold Heart keepsake (pictured). 8.5" tall. Solid Oak or Hardwood with Cherry finish. In Flight Heart, Category: Brass/Pewter, Dimensions: 3" x 3" x 1.75", Volume: 5 cu. in. 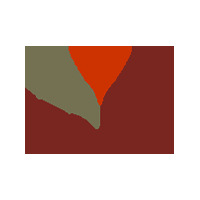 Life Prints are hypo-allergenic, created by using a combination of traditional jewelry techniques and modern technology, to produce a quality family heirloom to be passed down from generation to generation. Satin cord and engraving included. Available in: Bronze & Sterling Silver. Ships within 10 working days.